I have a new favorite juice. It works magic. And it helps to reduce your craving for sweet food which can be contraproductive if you wish to loose weight. 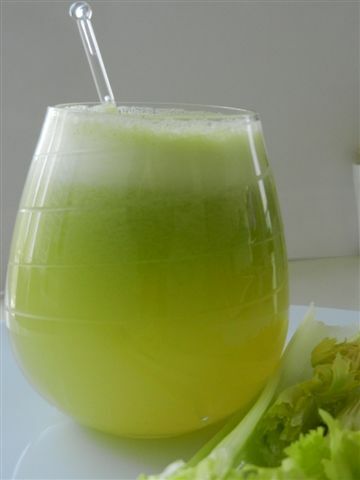 I love this slightly salty, fresh, highly aromatic juice which holds plenty of health benefits. 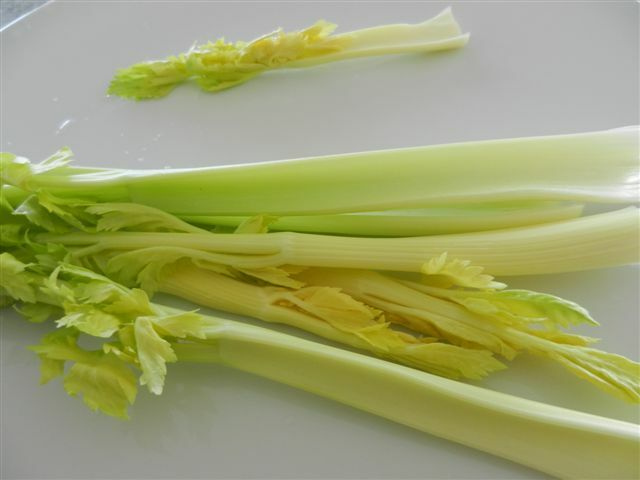 The crispy, yellowy-green celery stems are a perfect source of vitamin B1, B2, B6 and vitamin C with rich supplies of potassium, folic acid, calcium, magnesium, iron, sodium, phosphorus, and plenty essential amino acids. 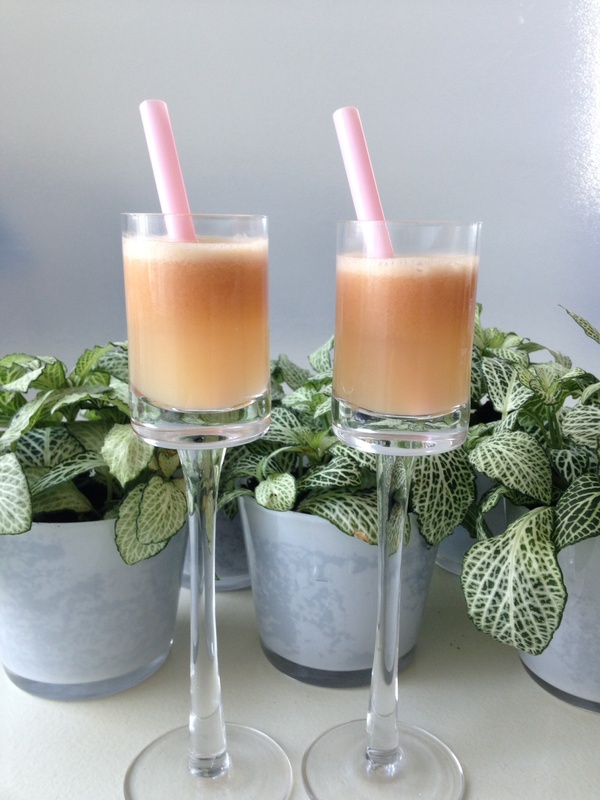 The important minerals in this juice balance the body’s blood pH, neutralizing acidity. Juice all ingredients. Stir in one teaspoon of flaxseed oil. Serve immediately. Now is the perfect time for a post-festive season detox! While detoxifying the body once in a while on a regular basis helps to maintain good health and wellbeing in general, now, after feasting on rich Christmas and New Year’s buffets many of us make plans to cleansing the stressed cells. Here is one easy to-do tip that brings back radiant skin, good digestion, and energy! Apples: A flavonoid called phlorizin that is found only in apples may increase bone density. Boron, another ingredient in apples, strengthens bones. The pectin in apples helps maintain a healthy digestive tract. It also supplies galacturonic acid to the body which lowers the body’s need for insulin and may help in the management of diabetes. And pectin helps to lower LDL (“bad”) cholesterol. Green Papayas: Green papaya is naturally high in papain which is a digestive enzyme needed in the second phase of digestion in the small intestine. The green, unripe fruit is much higher in papain than mature papaya, although mature fruits are still a good source. The white sap in the green papaya is actually the papain. This enzyme dissolves toxins and mucus in the body when taken on an empty stomach. Drink a freshly pressed apple and green papaya juice (use also the skin for juicing) every day in the morning on an empty stomach. After a few days you will be granted perfect digestion, some weight loss, smooth detoxification and radiant skin!